Lovin The Life I Color: Just Chillin New Elizabeth Craft Designs!! 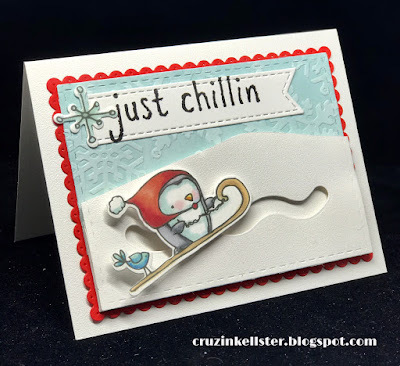 Just Chillin New Elizabeth Craft Designs!! 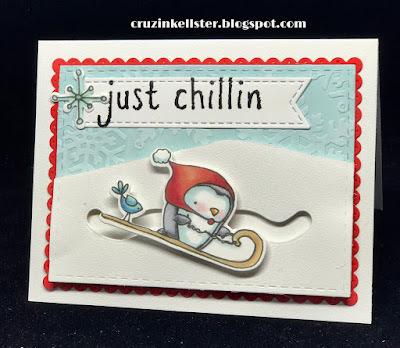 Today all the NEW stamps and dies by Elizabeth Craft Designs are available.....I'm excited to show you a little slider using s cute penguin stamp and sentiment by Krista Schneider for Elizabeth Craft Designs! I just love these sweet images they are so much fun to color and create with. A Fishtail Banner for the sentiment and of course the Spinner and Slider die set. The Embossing Folder is by Elizabeth Craft Designs but is discontinued.